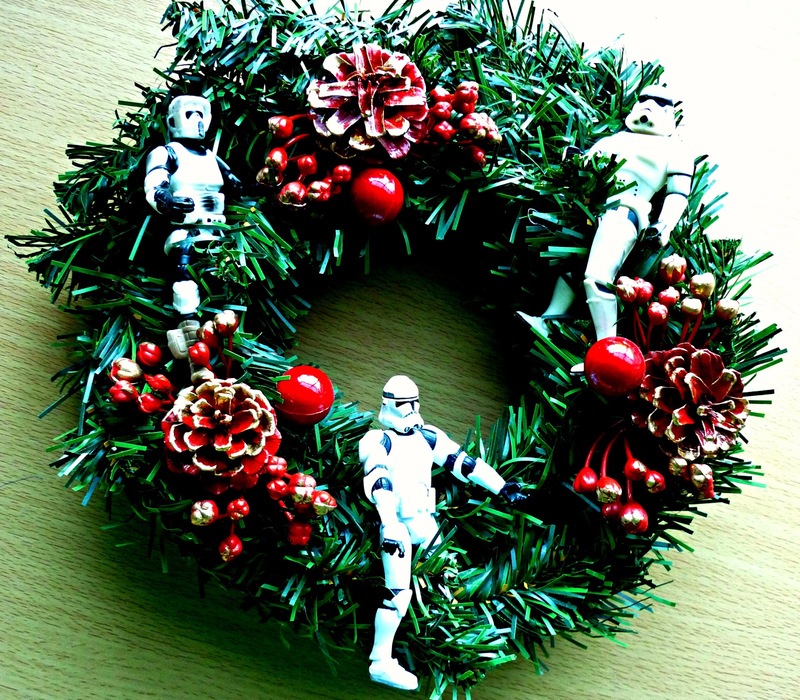 I found this little plastic style Christmas wreath at the pound shop last year and I had an idea about weaving sweets treats throughout the gaps to make it look bright and colourful but then I ran out of time. 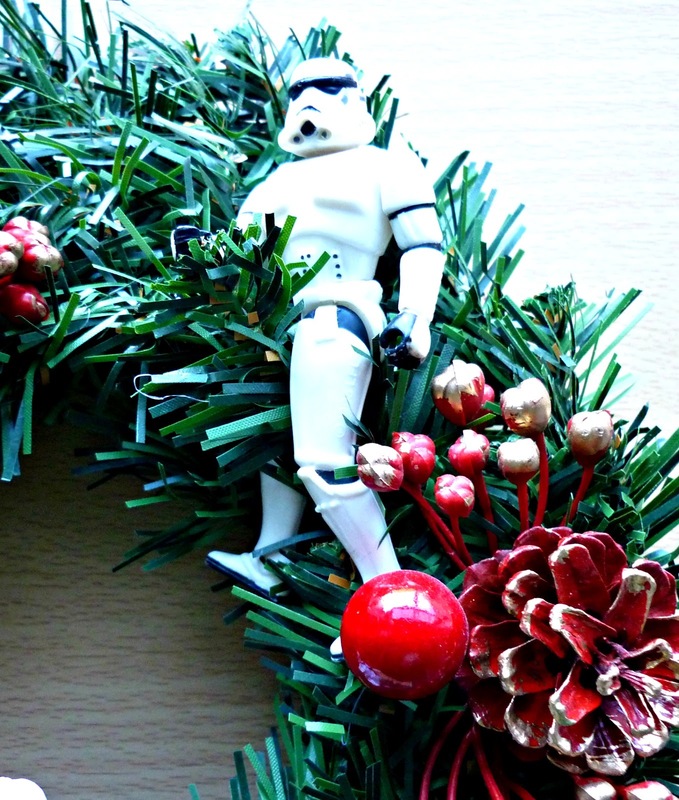 The dark side made him straddle the wreath...not me. That's amazing - he'll love it! Hehe, he gasped when he saw it then looked confused as to where I found his figures. We live in a 3 bedroom house. He has a box marked 'STAR WARS - HANDS OFF'.